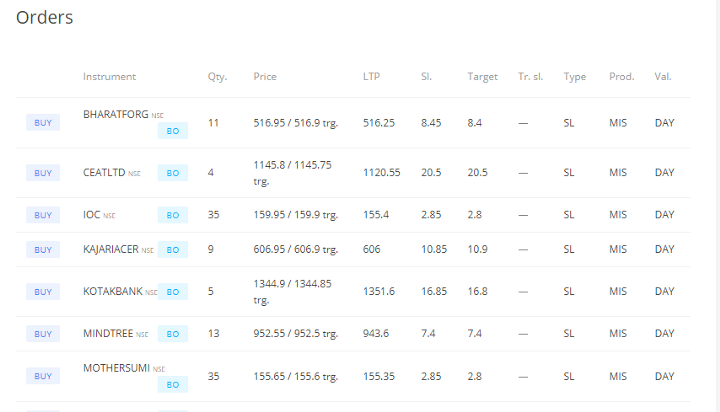 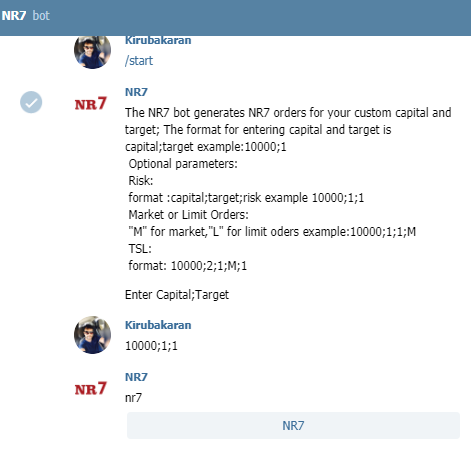 Now we have an automated Trading bot for you, which will automatically scan the list all stocks and find the one that are NR7 stocks. 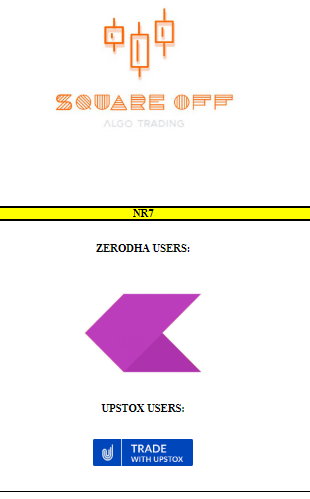 All you have to do is, go to NR7 BOT or search for @NR7_squareoff_bot in Telegram app and enter your input. 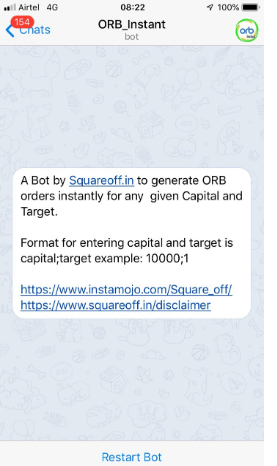 It is very similar to the ORB Trading bot.